By all accounts, it was a marketing project for the record books. For the Brown Shoe Company campaign, the creative professionals at Paradowski, the St. Louis office of Woodruff Sweitzer, built an interactive website and mobile application where people were encouraged to send holiday greeting cards to their friends, while also perusing Brown Shoe’s inventory. The project was a huge success. The idea was so catchy, the campaign ended up setting a Guinness World Record for most greeting cards signed and sent. The Brown Shoe project is a perfect illustration of the unbridled creative freedom—with an unusually tech-savvy approach—that has helped make Woodruff Sweitzer one of Missouri’s fastest growing companies. 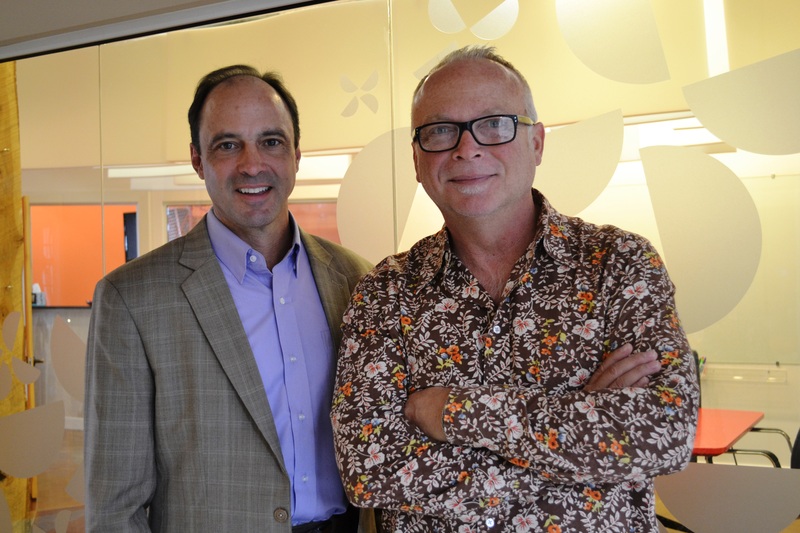 From left, President and CEO Terry Woodruff; and Steve Sweitzer, Chief Creative Officer. The agency started as a two-person operation in 1992. Woodruff says growth was steady but not spectacular during the first decade. 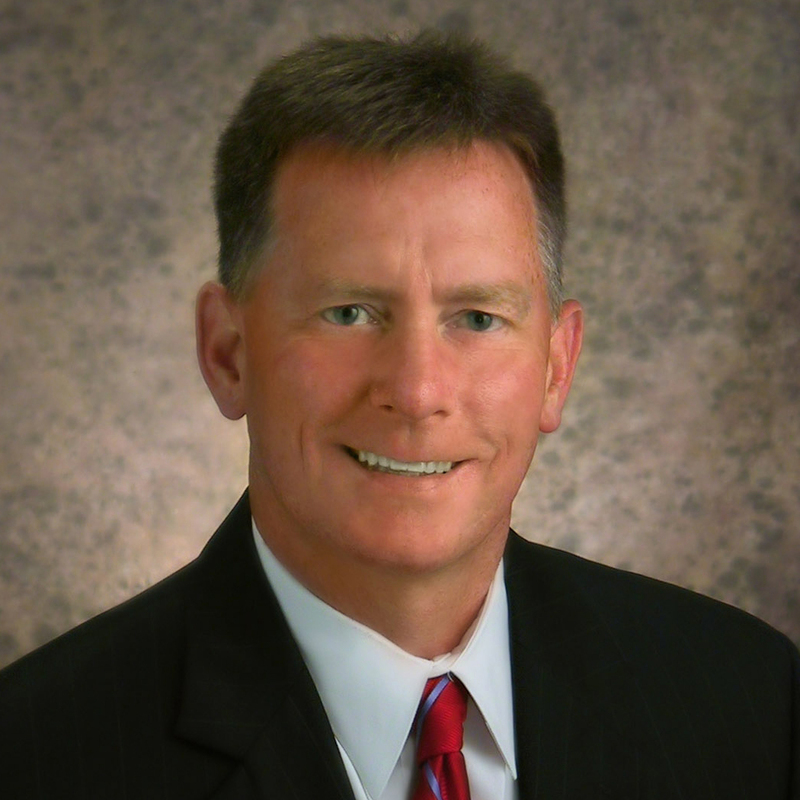 “It took a good 10 years to get a foothold into the Missouri marketing environment,” he says. A decision in the early 2000s to go beyond local clients and pursue large multinational marketing jobs helped begin a sustained period of strong growth—which has intensified since 2012 when they took over the Paradowski agency in St. Louis. Today, Woodruff Sweitzer has offices in Columbia, Kansas City, and Calgary, Canada, in addition to the Paradowski office in St. Louis. The company employs approximately 110 people that serve nearly 100 clients. Woodruff Sweitzer and Paradowski continue to serve a mix of Missouri clients—Central Bancompany, Missouri Farm Bureau Insurance, Monsanto Company, and Diamond Pet Foods—along with international brands such as Abbott Laboratories, Kahlua, and Bacardi. “There are many successful, highly respected Missouri-based brands that we are proud to serve and help grow their business, alongside our multi-national clients,” Woodruff says. Part of the company’s recent success—including more than 400 percent revenue growth over the last three years—has been built on their prowess developing digital campaigns and mobile applications. The company also offers a proprietary brand discovery process that can help clients understand their brands and reposition their companies for success. For organizations that want even deeper integration, Woodruff Sweitzer offers business-planning services that help top company leaders identify objectives and establish a marketing platform to achieve those goals. Woodruff says that Woodruff Sweitzer continues to succeed because of its high caliber of creative talent. “From day one, I’ve tried to hire the smartest people in the industry,” he says. Despite the growth and success, the company also preaches humility—Woodruff Sweitzer didn’t seek to be recognized among the fastest growing Missouri companies, its local chamber nominated the company.